Did you get a message from a site that asked you to allow cookies to in order to view the site better on Internet Explorer? It means cookies must have been blocked on your Internet Explorer browser. 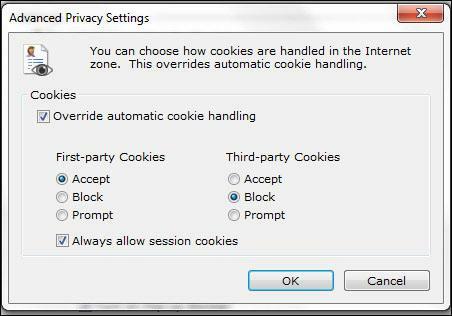 Are you wondering what are cookies and how should you enable or disable them? 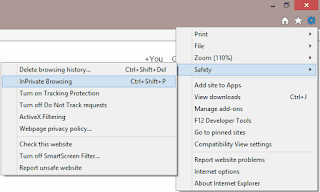 If yes, then we shall help you learn all about how to enable or disable cookies in Internet Explorer in the following tutorial. Cookies is a term in the technical jargon that refers to small files that are placed on your computer by websites with information related to your preferences. So, the next time you re-visit a particular site, the site remembers your preferences and also helps you skip the sign-in process in most of the sites. However, not all cookies are helpful. At times, some malicious websites may store harmful cookies that put your online privacy and safety at risk. 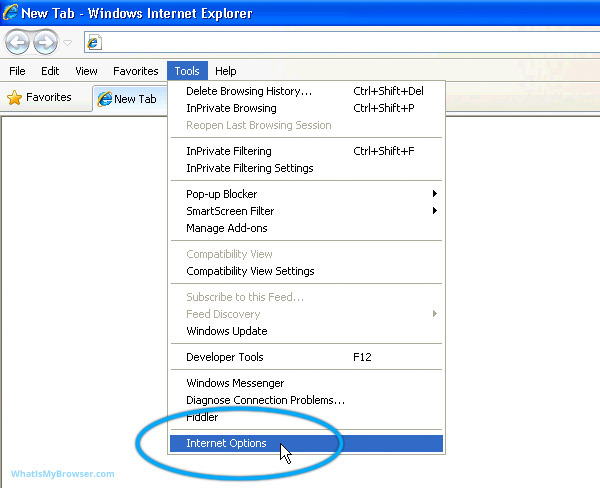 Thus, bringing us to the question how to enable or disable cookies in Internet Explorer. 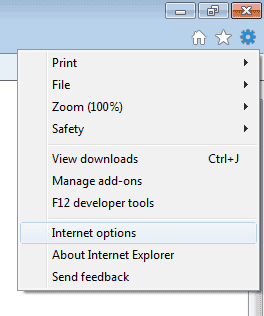 Open Internet Explorer and click on Tools, then select Internet options. Under Privacy tab go to Settings and move the slider to the top to block or disable all cookies. 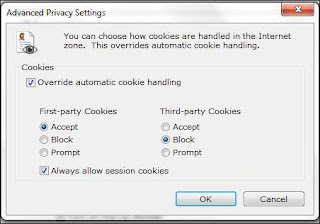 Under Privacy tab go to Settings and move the slider to the bottom to allow or enable all cookies. Click on Tools or the Gear icon on the upper-right corner of the screen. You will see ‘First-party Cookies’ and ‘Third-party Cookies’ under Advanced. You can select Accept, Block or Prompt from the options. 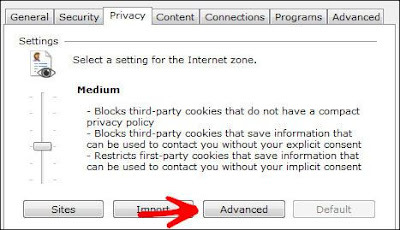 Accept means it will automatically accept cookies, Block means automatically block cookies, and Prompt means it will prompt you every time a website requests cookies. You can even set preferences according to Per Site Privacy Actions. You need to select Sites and enter the specific ‘Address of website’. 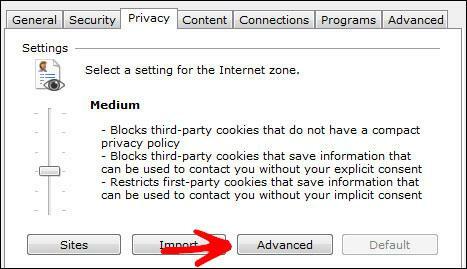 Now, you can either Block or Allow cookies of that website. 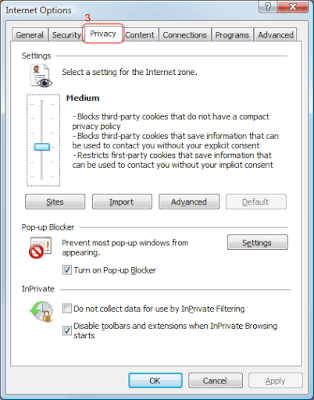 If you wish to browse a page without leaving any cookies after a single session, then you can try using the InPrivate Browsing mode. It is like the Incognito mode of Chrome. 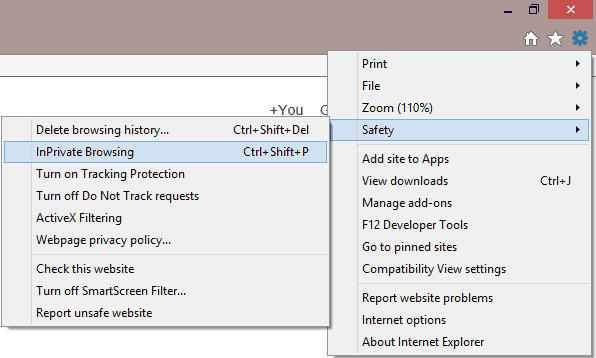 You can find this option under Tools->Safety-> InPrivate Browsing. Just follow these steps and you will be able to enable or disable cookies in Internet Explorer as per your needs.